A few years ago, a Baby Boomer couple we know moved from Southern California to Georgia, just outside of Atlanta. They were attracted there because of the affordable home prices and the fact that their grown children both live on the East Coast. The longer they have lived in the Atlanta area, the happier our friends have become with their new home and the Georgia lifestyle ... despite the fact that they have had to grow accustomed to periodic thunderstorms, occasional snow and an abundance of mosquitoes! They feel that the beauty of the area and the relaxed lifestyle more than compensates for those minor hardships. Although our friends did not move into an over-55 community, it would have been an easy option for them. One popular retirement community that is located about an hour's drive northeast of Atlanta is Cresswind on Lake Lanier. 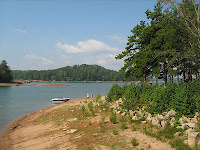 Lake Lanier is nestled in the foothills of the Blue Ridge Mountains and is considered one of America's favorite lakes, with several million visitors a year. The lake has 38,000 surface acres of water and 540 miles of shoreline. There are numerous golf courses, resorts, restaurants and other recreational facilities located around it. Being able to retire along the shores of this gorgeous lake is a dream come true for many Baby Boomers. To many retirees, it is not enough to simply have a lake house on the shores of Lake Lanier. Boomers are also looking forward to an active retirement with a variety of ways to stay busy. That's exactly what you will find at Cresswind. It is important to note that there is no golf course inside the community of Cresswind, an amenity that many retirees have come to expect. However, within a short drive there are several gorgeous golf courses that are open to the public. Home prices range from the low $200,000's to the upper $300,000's for single family homes, which makes this community affordable to many retirees. 3-zone irrigation system and much, much more! Because there is no golf course, the monthly Homeowner's Dues are more affordable than in some other communities. In 2013, they were $269 a month. Named the 50+ Housing Community of the Year in 2012 by the Greater Atlanta Home Builders Association. The community received awards in several categories, including community, building, and marketing. Chosen by Where to Retire magazine in their July/August 2013 issue as one of the 50 best master planned communities in the United States. If you are interested in reading more about the Georgia lifestyle, tourist attractions and places to visit before making a decision, you may want to use this link to books about Georgia from Amazon.com. This sounds like the perfect location for active Boomers! 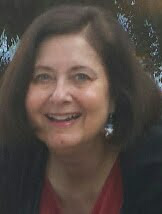 Do you know of a retirement community in Seattle? I am looking for a place for my grandma to live but won't take her to any place. It has to be a place she can have fun and be herself because that's how she is.